UD Twisted Kanthal Wire is the new way to wrap and assemble your coils, utilizing machine twisted design to maximize juice channels within the build. 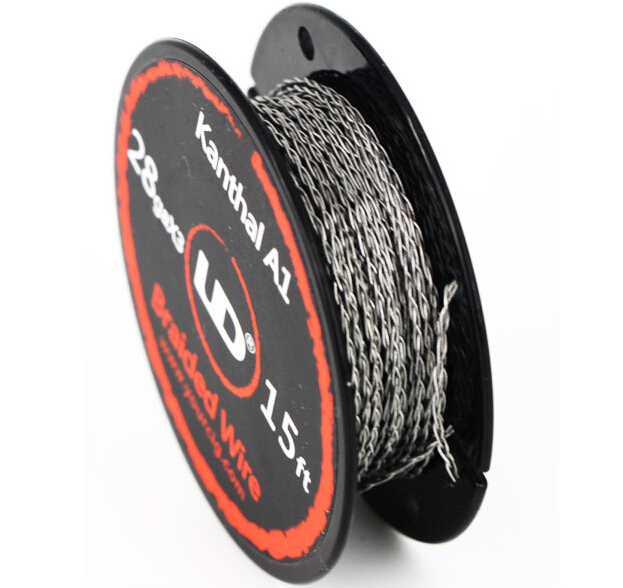 Kanthal A1 is the standard coil wrapping wire in vaping, with a blend of typically Iron, Chromium, and Aluminum, and has a slightly higher resistance per inch than nichrome wire of the same size. Through precise and consistent weave throughout each spool, these wire coils increase its surface area coverage, able to produce more wicking properties for amazing flavors of your favorite juice!